It was enough to wait ‘for the moment of God’ in my life to understand why it seemed late. I am Sister Juliana Nascimento Garcia, the daughter of Julio Cardoso Garcia and Ana Maria do Nascimento Garcia. I am their youngest child, my older sister Raquel is already in Heaven and my brother Juliesio is the second oldest. I was born in Rondonia State, in a small and distant city called Machandinho D’Oeste, a place remote to human eyes, but close to God’s eyes, who looked at me and called me. It was February 4, 2003 and a morning different from others. I was baptized that day in St. John the Baptist chapel. I was sixteen and even though I will never forget that moment as one of celebration, a family- get-together and joy – I had great restlessness in my soul. Conscious of the great grace that The Lord was giving me I felt deep inside that Christ was in fact calling me to give my whole life to him. On that day my Beloved Lord didn’t give me the grace of the Sacrament of Baptism alone but also that of the Sacrament of the Holy Eucharist which confirmed ‘the gift of my vocation’ It was characterized in that moment with a special call which I heard inside, telling me to “announce Jesus and make Him known and loved by all people”. It was that restlessness in my soul which made me ask the question ‘why don’t I consecrate myself to God?’ How? And right then I had the answer – the Sisters of the Sacred Heart of the Incarnate Word had just arrived in the city and were present at the Eucharistic service when I was baptized. 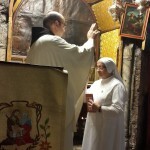 In front of the many graces that The Lord gave me that morning, a great desire was in my soul – the desire to no longer belong to myself but to Him who deigned to take me as His daughter and at the same time called me to be His spouse, that is, to ‘consecrate’ myself so that I could announce His Kingdom and be a Disciple-Missionary. That day, while I was receiving the Holy Eucharist I gave my life to God, and praying I said: “I will be your spouse Lord.” This was the only thing I knew to say in that moment to be “consecrated” to Him. There were no longer any doubts – I knew I really wanted to be a missionary. It was very clear in my mind and soul that I wanted to bring Jesus most of all to those who do not know Him, just as I was before. 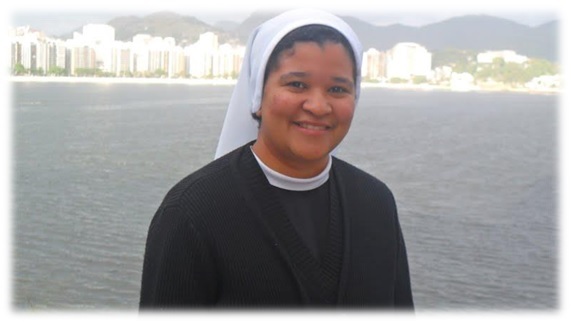 After some months of vocational guidance and being sure about what I felt inside, I entered the Congregation of the Sisters of the Sacred Heart of the Incarnate Word on July 10, 2003, in the city of Machadinho. I had much joy and emotion when I entered aware of this great and precious mystery – which is impossible to understand with human reasoning but only through Faith. On January 2nd, 2004, I became an aspirant in the community of Machadinho, with the desire to love and give myself to Jesus through a life of prayer. 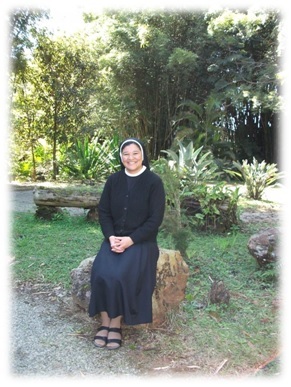 On April 4th, 2005, I went to the House for Postulants in the Cacaulandia-Rio community and the following year to Curitiba (southern Brazil) to continue my formation. It was a time of grace, of understanding myself much more and a deep experience of love and of the mercy of God who loves me and who called me. 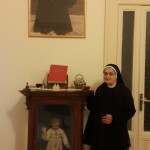 With the desire to completely give everything to God I began the Novitiate on February 11th, 2007. This was a precious time for me of new discoveries and experiences which profoundly enriched me in my spiritual and human walk. I am thankful to the Holy Trinity as I felt much mercy during that period of grace. It was in this way The Lord prepared me for the ‘real giving of myself’ through formal consecration on January 3, 2009, which I did in front of God and the community. 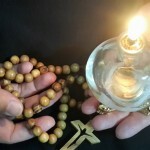 The emotion I had making my first vows, brought about in me a great joy which I could not contain because I understood the sweetness of the great GIFT of consecrating my life to God.